Virgin Money chief executive Jayne-Anne Gadhia has told MPs about the "very male culture" in financial services where sexism was "pervasive". Ms Gadhia spoke of one example from her time at Royal Bank of Scotland when a colleague was very upset because she was "expected to sleep with her boss". She was speaking to MPs as part of their inquiry into women in finance. Ms Gadhia, who was at RBS from 2001 to 2007, added that the industry had improved at dealing with sexism. Parliament's Treasury Committee is looking at the barriers for women in financial services and the value of greater gender balance. It comes as the allegations against Hollywood producer Harvey Weinstein have shone a spotlight on sexual harassment in industries worldwide. Women and men have been sharing their stories across social media using the hashtag "me too" to show the magnitude of the problem. Ms Gadhia, who is a government champion for women in finance, told the Treasury Committee there had been a "very male culture" at RBS which was "win-lose". "Undoubtedly there was a pervading sexism where I remember a very senior woman being very upset one day telling me that she was expected to sleep with her boss," she said. "That sort of thing of course means that there are issues for women in progressing through financial services," she said. She also spoke of an experience from her own career, when she was rebuffed from a promotion in 1994 at the insurer Norwich Union, now Aviva. "I was told by a very senior person at Norwich Union then, you have not got the characteristics necessary to lead a sales force," she told MPs. "And I said, what's that? He said the two things you're missing are a thick skin and a load of bull." While Ms Gadhia did not consider the remark to be sexist at the time, she said: "There was a definite alpha-maleness about that which I've never forgotten." 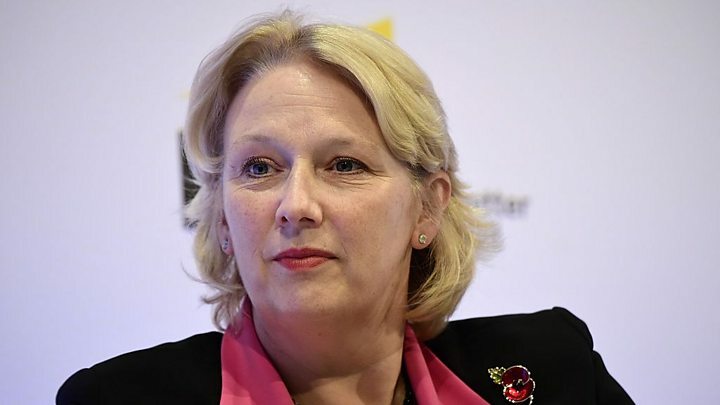 Aviva's director of inclusion, Jan Gooding, said the firm had "come a long way and learned a lot in the last 20 plus years", adding that it has "zero tolerance for any sexist behaviour". In a government review last year, Ms Gadhia recommended that financial services firms should aim for greater equality in pay and to publish progress reports on diversity targets. More than 140 financial firms - including RBS and Aviva - have signed the Women in Finance charter that came out of her review. She told MPs on Tuesday that the industry had improved, and picked out two key areas which she said were "powerful". Women are keener to talk about their own experiences, and men are backing efforts for more equality, she said. She added that closing the gap between men and women would help to make UK businesses more productive. RBS was also approached for comment.